Netafim develops advanced drip irrigation systems to create sustainable work in agriculture and improve the economic position of millions of smallholder farmers around the world. Blumont is heavily invested in agricultural innovation throughout many communities around the world. Through programs such as the Kandahar Food Zone (KFZ) in Afghanistan, the Cashew Value Chain Enhancement 2 (CEP 2) program in Senegal and The Gambia and RIC4REC in Mali, Blumont is using agricultural innovations to improve agricultural productivity, diversify licit rural livelihoods and build resiliency to climate shock. Another organization dedicated to agricultural innovation is Netafim, the world’s leading provider of drippers and dripperlines. These products make the process of drip irrigation possible – a low-pressure, low-volume watering technique where long rubber tubes deliver drops of water to the root of a plant via small holes in the tubing. The technique is highly resource-efficient, as it delivers small amounts of water directly to the root of the plant, preventing water waste. Netafim works to drive mass adoption of drip irrigation, making drip technologies accessible to smallholder farmers. There are currently 1.5 billion people living in smallholder households, many of them extremely poor. According to the United Nations Food and Agriculture Organization (FAO), the highest incidence of workers below the poverty line is associated with employment in agriculture. Water is an incredibly limited natural resource worldwide. For households of smallholder farmers, obtaining the amount of safe water needed to support their livelihoods is often difficult. Additionally, the agricultural sector is the largest consumer of freshwater in the world, meaning the continuing depletion of water supplies will cause serious challenges in feeding the world’s ever- increasing population. Netafim recognizes this crisis, and is aiming to solve it. 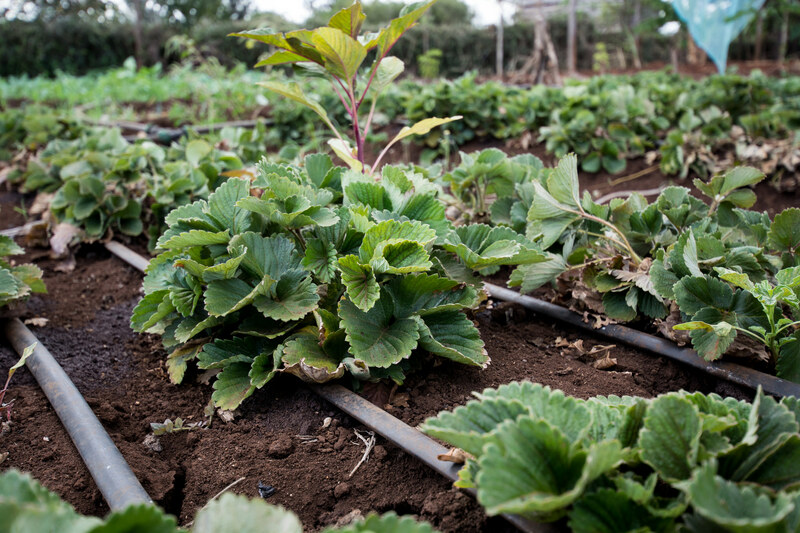 Netafim, with funding from USAID, has partnered with a Kenyan distributor to advance a two-year “Financing Drip Irrigation Systems” project to improve access to drip irrigation. The initiative provides training for smallholder farmers and offers access to specially developed Netafim Family Drip System units. Equipped with the new units and training from Netafim, farmers won’t require as much water for their crops – this helps lift the burden of working with a limited resource, and makes it easier for smallholder farmers to support their livelihoods and harvest greater yields. These units provide economic empowerment to independent smallholder farmers, transforming the quality of life in their communities in Kenya. Netafim’s goal is to fulfill the UN Sustainable Development Goal (SDG) #8 which states, “Promote sustained, inclusive and sustainable economic growth, full and productive employment and decent work to all.” By using water more conservatively, the resource is thereby protected and its availability both now and in the future is ensured. A KFZ program participant tends his cucumber plants in a program-supported greenhouse. Drip irrigation lines water the crop. Parallel to Netafim’s efforts, Blumont is using drip irrigation to provide economic empowerment for smallholder farmers as well. 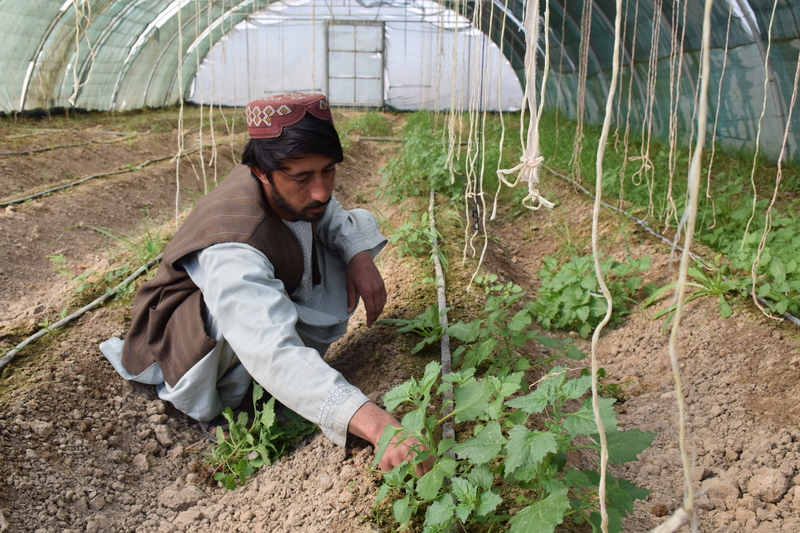 For instance, the technique is currently used by the USAID-funded KFZ program in Afghanistan to water crops in greenhouses. One young farmer used the irrigation system in a program greenhouse to grow cucumbers, and built four classrooms at a local primary school with some of his earnings from the crop. You can read more about that story here. With two-thirds of the world’s population projected to be living under water stress by 2025 and 50 percent of developing countries expected to experience an increase in water withdrawals by the same year (UN Water), improving water conservation technology is imperative. As drip irrigation technologies improve, smallholder farmers will be further equipped to succeed despite an increased strain on global water supply.